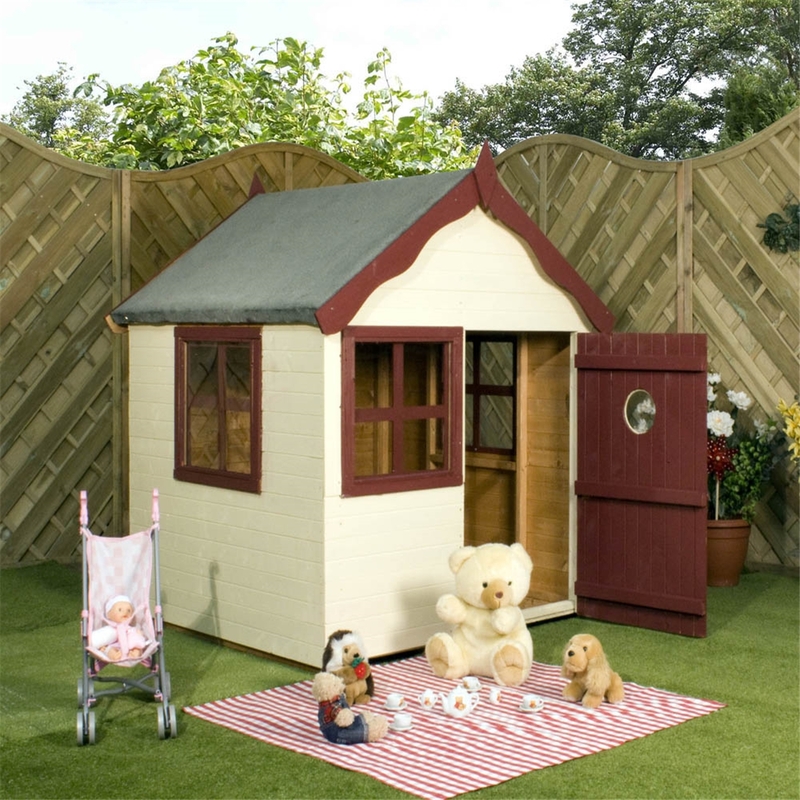 The playhouse will provide hours of fun and entertainment for your children. This a high quality playhouse and CE certification ensures your children hours of safe fun and entertainment. The Playhouses are tongue and groove clad and the roof and floor are constructed using a solid sheet material. 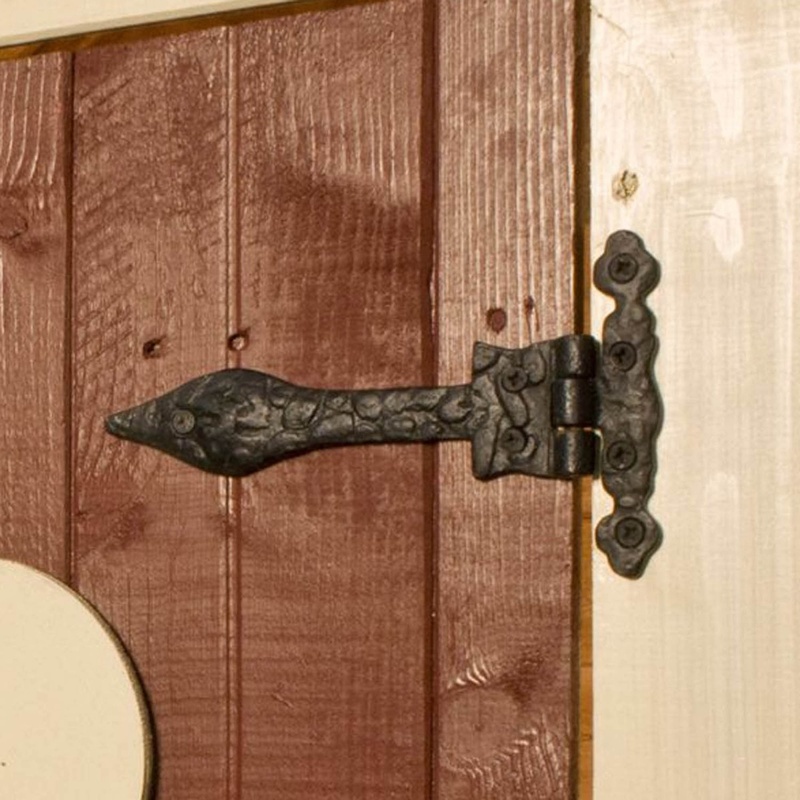 The single door features a black door handle, Georgian style window and the windows feature safety styrene. PLEASE NOTE: Image for illustration purposes only, playhouse will be supplied unpainted. 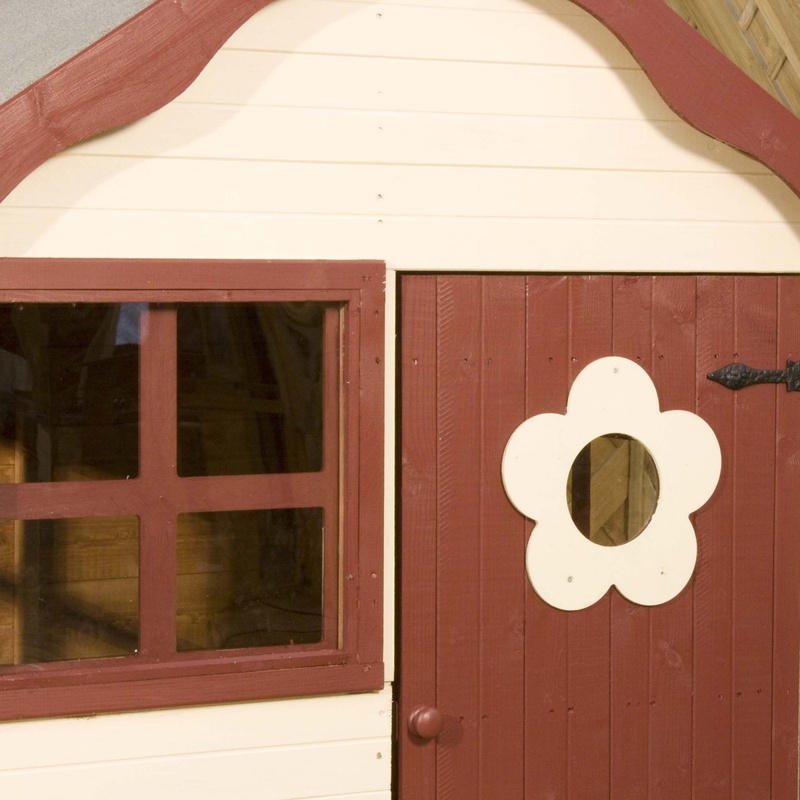 Toys and accessories shown are not included with the playhouse.